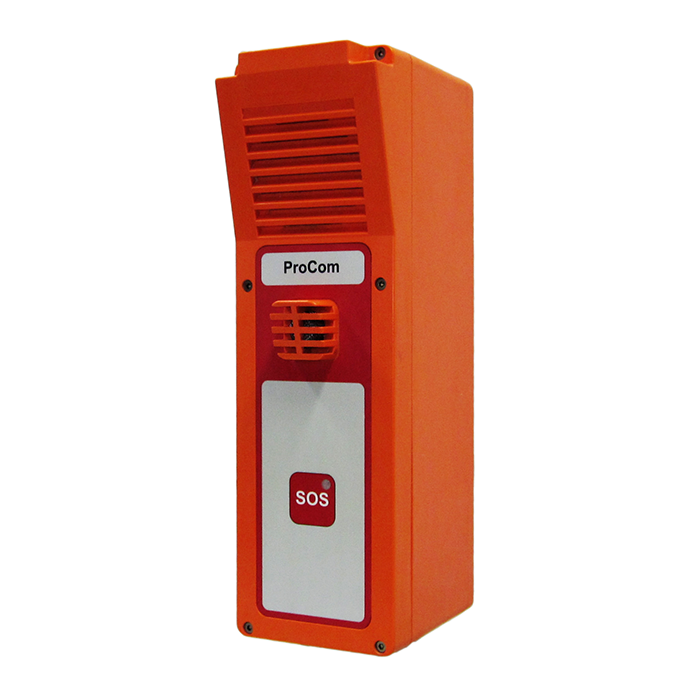 ProCom has the right call station for every environment and application. Whether using IP or digital technology, offering weatherproof or explosion-proof features, in state-of-the-art implementations for office buildings or built-in call stations for control panels or cranes, we have a product that matches every requirement. 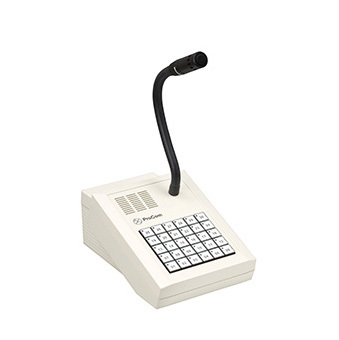 The CS-46 is an IP-based desktop call station, connected by means of a LAN/WAN to the VoIP-Com System. 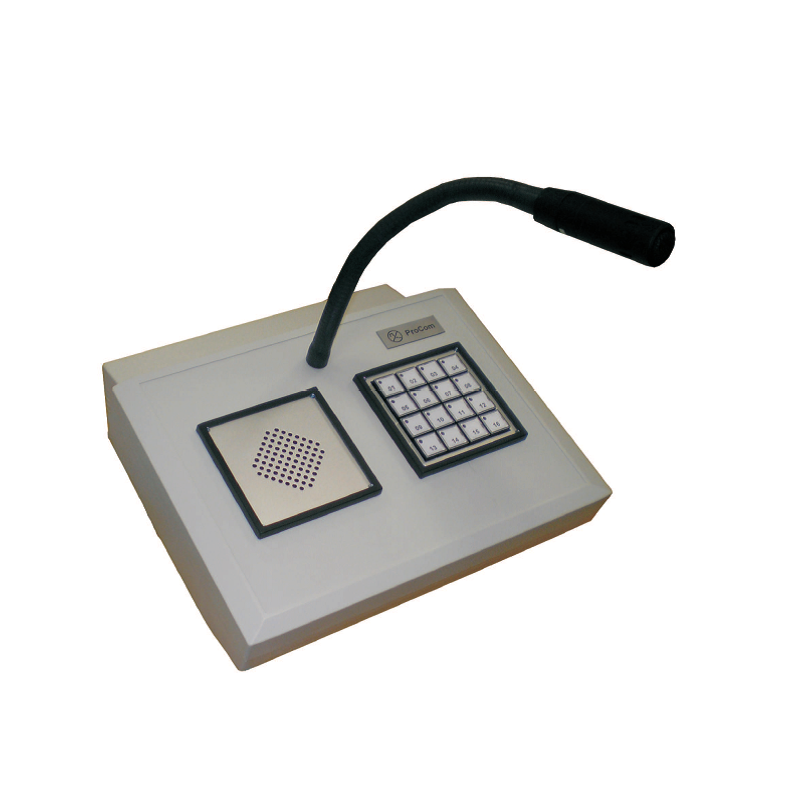 This provides the full functionality of current intercom and public address systems, as well as telephone connections and additional local functions such as volume control and night reduction. An integrated audio memory enables the playback of announcements, melodies or audio files, either automatically or at the touch of a button. The DTA series is a range of call stations for use in indoor environments (control centres, control rooms, switchrooms, etc.). The call station is offered in versions with 12, 30, 48, 84 and 114 buttons. Button functions are freely-programmable (e.g. PA / intercom mode with acknowledgement, loud/soft, alarm display and acknowledgement). The call stations can be connected to DVS-21 as well as VoIP-Com. 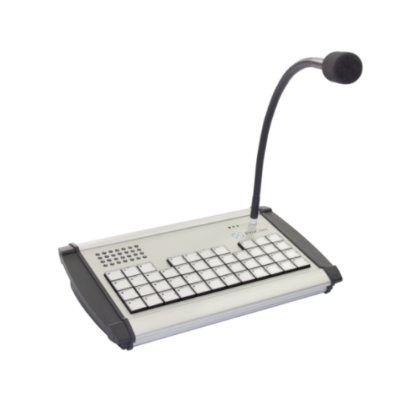 The PC call station is a screen-operable call station that is particularly well-suited to use in control rooms. Its graphic user-interface offers enhanced convenience for the operator. In order to optimise clarity of presentation the destination keys can be arranged on different screens as desired (e.g. allocated according to function, structured according to production area, etc.). Depending on the version, the PC call station can be connected to DVS-21 or VoIP-Com. 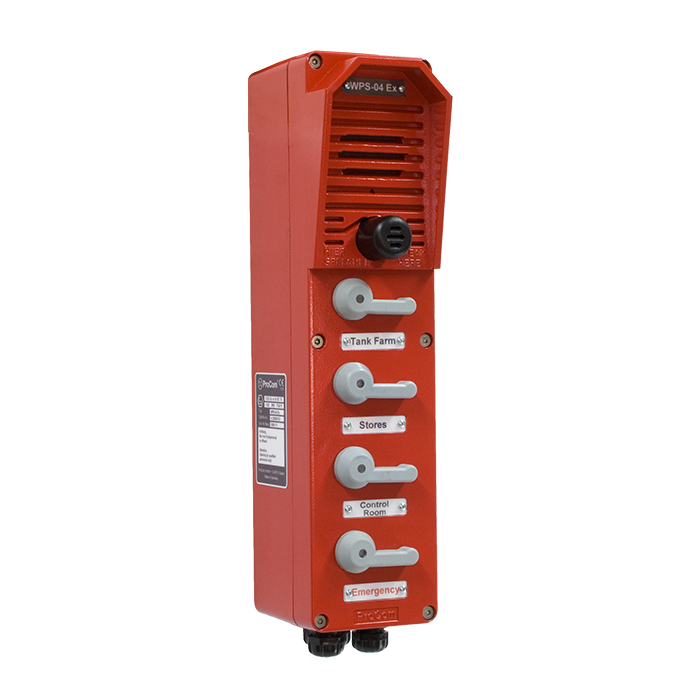 Using 4-wire technology, the WPS-01 call station is designed for use in harsh environments. The housing is weatherproof and can be used in a temperature range from -30°C to +70°C. The main areas of application are intercom for barriers and gate intercom. The WPS-01 can be connected to DVS-21 as well as VoIP-Com. 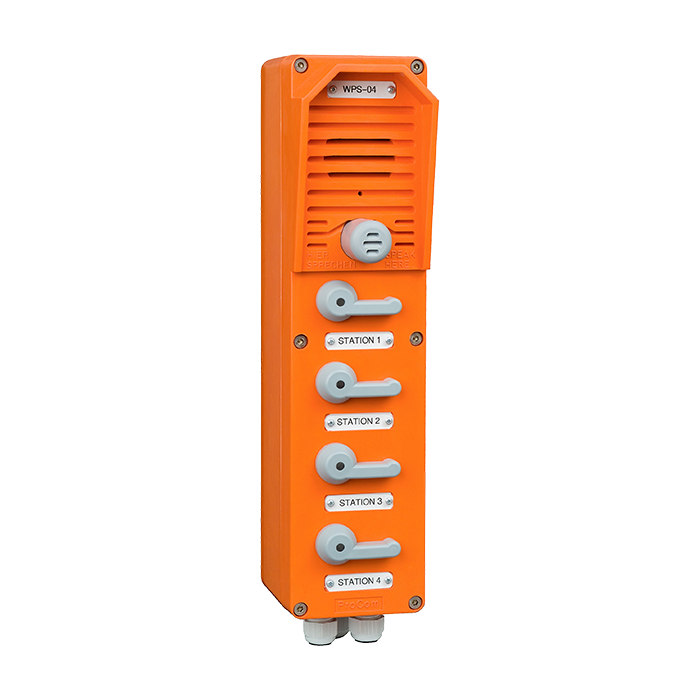 The weatherproof WPS-04 call station is designed for use in harsh environments. In addition to having a housing that is is resistant to many chemicals, the call station can be used at temperatures ranging from -30°C to +70°C, while the WPS-04 is a version with 2-wire and 4-wire technology. The call stations can also be connected to DVS-21 as well as VoIP-Com. The WPS-04 is weatherproof and is designed specifically for use in harsh environments. With 4 double toggles for 8 destinations, the housing is resistant to chemicals and can be used at temperatures ranging from -30°C to +70°C. The WPS-08 version is also available, offering 2-wire and 4-wire technology. The call stations can also be connected to DVS-21 as well as VoIP-Com. The AWC-06 accessory housing is designed as an upgrade for the WPS-04 or the WPS-08 call stations. 6 toggles are available for additional destinations. An outdoor call station can be upgraded with a maximum of 5 accessory housings. The housing is resistant to many chemicals and can be used at temperatures ranging from -30°C to +70°C. 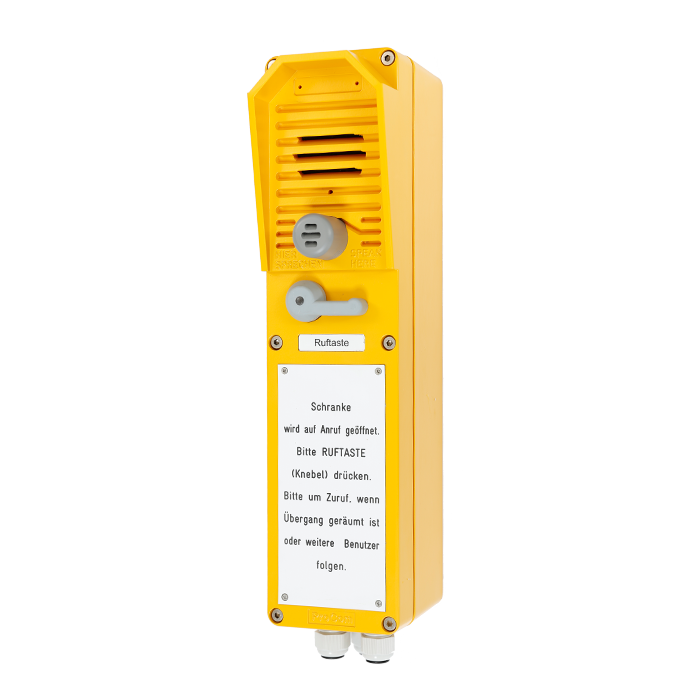 The WPS-SOS IP call station is an IP-based emergency call station that is designed for use in tunnel emergency call systems. By pressing the SOS button an emergency call is transmitted to the tunnel control centre and the location of the call station is signalled. The housing is designed specifically for the harsh environmental conditions in tunnels. It is resistant to water, dirt and dust. The explosionproof WPS-04A Ex call station is designed specifically for use in areas with a high risk of explosion, classified as zone 1/21 and the most hazardous explosion group IIC. With 4 toggles for 4 destinations, the housing is resistant to many chemicals and can be used at temperatures ranging from -30°C to +70°C. The call stations can also be connected to DVS-21 as well as VoIP-Com. The WPS-04 Exx is an explosionproof call station that is designed specifically for use in areas with a high risk of explosion, and is approved for zone 2/22 and the most hazardous explosion group IIC. With 4 toggles for 4 destinations, the housing is resistant to many chemicals and can be used at temperatures ranging from -30°C to +70°C. The call stations can also be connected to DVS-21 as well as VoIP-Com. 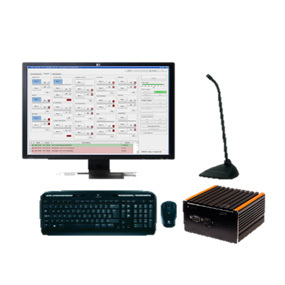 The CS-08 CR is an IP-based call station that is designed specifically for use in cranes. It is connected to the VoIP-Com System via a LAN/WAN. The connection is made via WLAN. 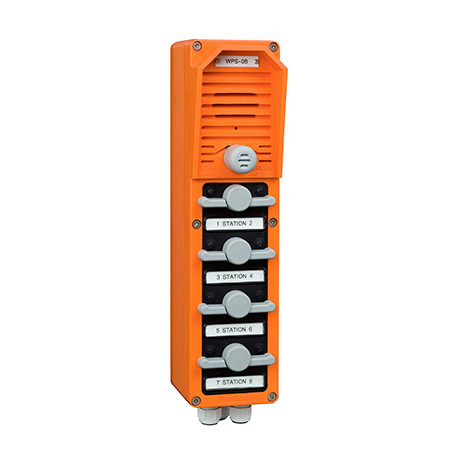 The crane call station has 8 freely-programmable buttons with 2-colour LED signalling. The built-in call station is based on 4-wire technology and is designed in modular form as a call station for indoor applications (control centres, control rooms, switchrooms, cranes etc.). It has separate modules in standard 96 x 96mm housings, suitable for console installation. 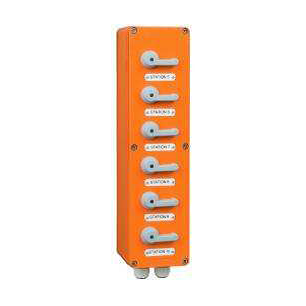 The basic version consists of a housing with a loudspeaker, microphone and call station electronics as well as a variable number of housings each with 16 illuminated pushbuttons. Loudspeakers and microphones can be remotely connected as an option. The call station can be connected to DVS-21 as well as VoIP-Com. 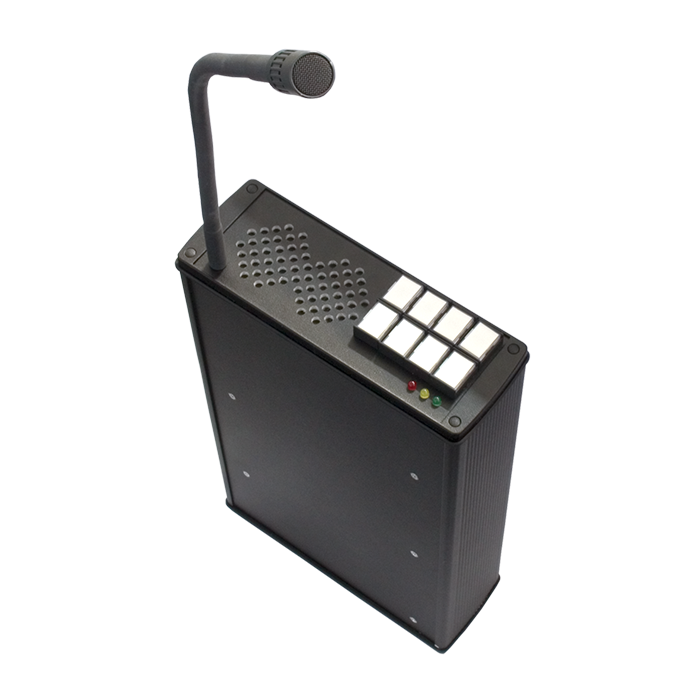 The PMS-01 DL is a digital door intercom with 4-wire technology. 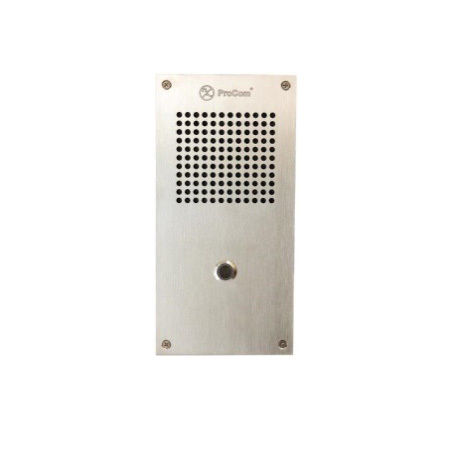 With a stainless steel faceplate, the door intercom is suitable for flush-mounting as well as surface installation. The weather- and vandal-proof housing is equipped with an illuminated pushbutton, a horn loudspeaker and an electret microphone. The call station can be connected to DVS-21 as well as VoIP-Com.